Blackwood Hall is a house shrouded in silence. Nine-year-old Alice Fenn communicates only through her music. Jonathan Fenn and his sister Judith guard a terrifying family secret. The servants refuse to discuss the mysterious disappearance of a former governess. A drawing room séance attempts to make contact with the spirit of Elizabeth Blackwood. And when a diabolic madman holds the residents of Blackwood Hall hostage to an insidious reign of terror, governess Claire Ashby finds herself in a living nightmare of drug addiction, pagan rituals, and murder. 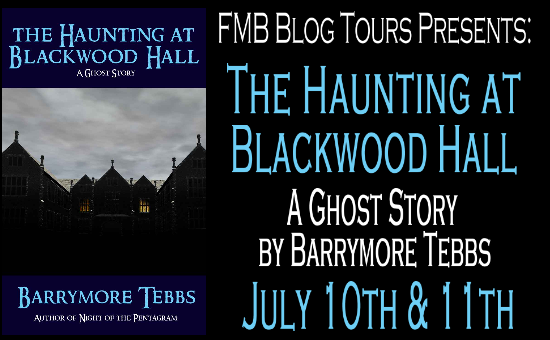 In the tradition of the great Gothic Romances, The Haunting at Blackwood Hall is a thrilling ghost story brimming with bold new twists on the beloved conventions of a bygone era. It was early, but I felt myself growing sleepier by the moment. I hadn’t been given laudanum since I was a child, and the effects were completely foreign to me. My vision grew dim, and I found I could barely hold up my head. Alice, bless her heart, came to me and pecked me lightly on the cheek, then made an effort of drawing a blanket over me. I fell into a strange and troubled sleep. I dreamed of a line of monks marching solemnly through the ruined abbey by moonlight. Their torches cast dancing shadows against the crumbling stone walls. Then, I saw a rider on horseback, a proud black stallion which I recognized as Nigel Kent’s mount, only the face of the rider was an ugly, twisted visage like the face on Alice’s doll. Alice was there as well, and her mother came and took her by the hand and the two of them disappeared behind a stone arch and Alice was lost to me forever. I struggled up from the nightmare and looked about the room. Alice was asleep and the fire had died down low. It must have been the dead of night. But I distinctly heard the sound of the door handle turning, and when the person on the other side of the door realized it was locked, the handle began to shake and rattle so loudly and with such force I thought the door would be torn asunder. “Stop it! Stop it!” I yelled, and with great difficulty I hauled myself from the bed. The moment I was on my feet the shaking of the door ceased abruptly. I went to the door and laid my ear against it. I listened for a moment, but heard neither dog nor man on the other side of the door. …And distinctly heard the sound of footsteps running down the hall. Barrymore Tebbs is a photographer and writer living in Cincinati, Ohio. 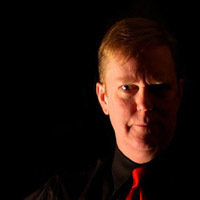 His writing draws on a long Gothic tradition from the cult TV classic Dark Shadows and Hammer Films, to 20th Century Gothic writers known for deep psychological undercurrents such as Shirley Jackson, Daphne Du Maurier, and Thomas Tryon, to create the Psychological Gothic, all served with a liberal dose of black humor. Very black. He is the author of Night of the Pentagram, The Yellow Scarf, and the psychological thriller Black Valentines. 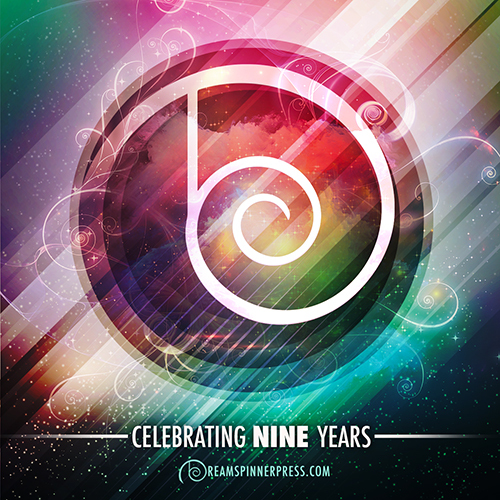 Thanks for featuring my book on your blog, Tricia!